Nothing beats a ChatterVox® voice amplifier when it comes to quality and ease of use. The ChatterVox is simply the finest portable voice amplifier. 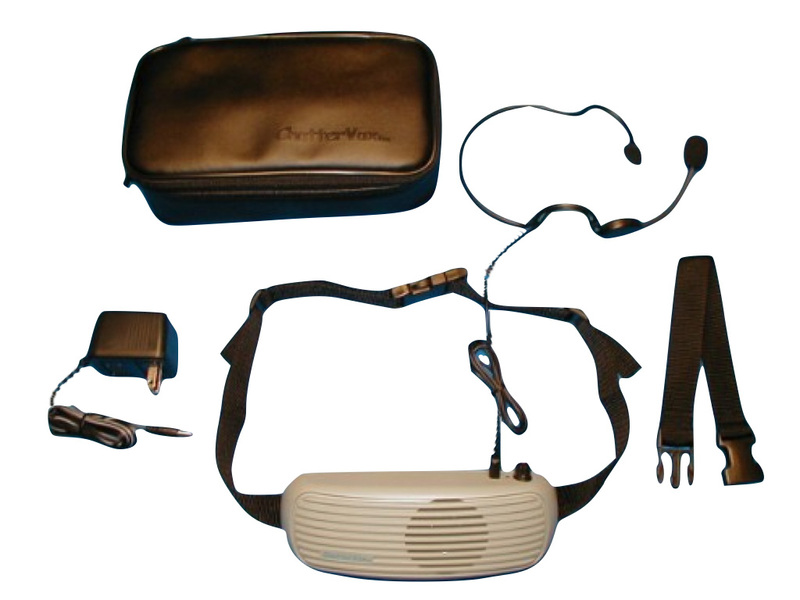 (included with ChatterVox Complete System Plus). The ChatterVox can boost volume by as much as 18 decibels (which is a LOT!). The amplifier has a built-in speaker. The "fanny pack" design allows the amplifier to be worn comfortably around the waist. The amplifier is rechargeable. Simply charge the ChatterVox overnight with the included charger, put on the fanny pack and headset, plug the headset into the fanny pack, adjust the volume knob, and you're ready to communicate clearly. ChatterVox® is a registered trademark of Ted Simons.